What Training can we help you with? 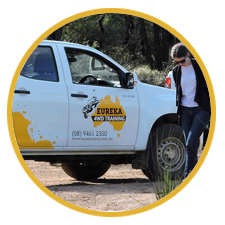 At Eureka 4WD Training, we run our 4WD Courses every day, Monday to Friday, which means no down time, no wait time, easy mobilisation. Whether you have 1 employee or 51 employees that need training, we will accommodate the day that best suits you! 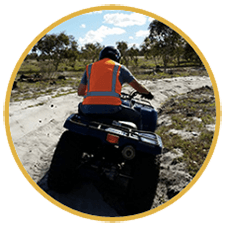 Eureka 4WD Training offer you or your staff the appropriate skills to operate Quad bikes and side by side utility vehicles safely and responsibly. Nationally recognised training from Mon - Fri is offered at our purpose built facility using our modern fleet of Yamaha vehicles. 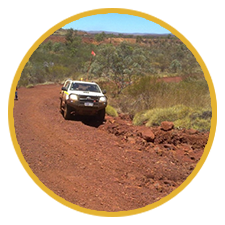 Want to learn how to operate your 4x4 safely whilst gaining off road confidence? We have been training for over 26 years and you will be professionally trained by Cert IV trainer and assessors in real world environments, not on simulated tracks. 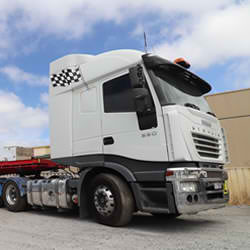 Get high quality truck driver training from our own registered training organisation and be a competent truck driver, licensed for commercial truck driving activities.